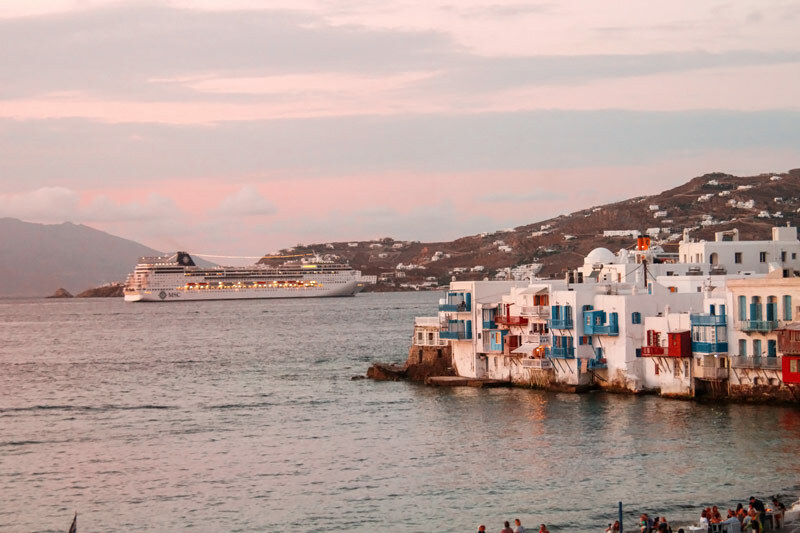 After a long period of 24/7 crazy dancing at the beach bars and night clubs, after the paparazzi are gone, taking most of the celebrities’ glitter with them, September is like a new dawn, revealing the real, inner beauties of Mykonos. Like a woman waking up, looking even more beautiful without her makeup, this unexpectedly multi-dimensional island changes face to seduce its visitors with a new aura and a more meditative, romantic energy. Colors get softer and the sea gets calmer as the strong north summer winds lose their overwhelming power to the sweet autumn breeze. This is the time for long swims in crystal clear but still warm waters. It is also the time for long walks across the town, watching the fishermen prepare their nets for their night expeditions. 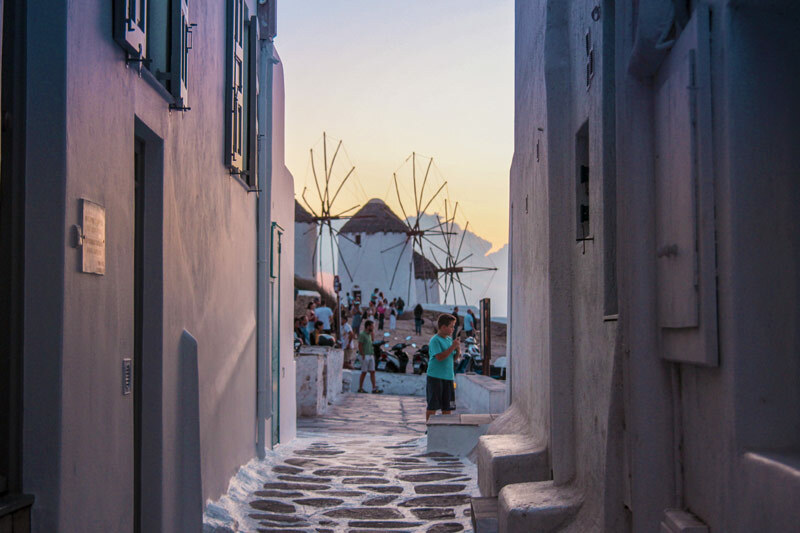 Hora, the town of Mykonos, is still alive and rocking but if you feel like enjoying a quite cup of coffee or a drink, now is the time to discover the beauty of the small bars and cafes, hidden in the tiny alleys of Little Venice. 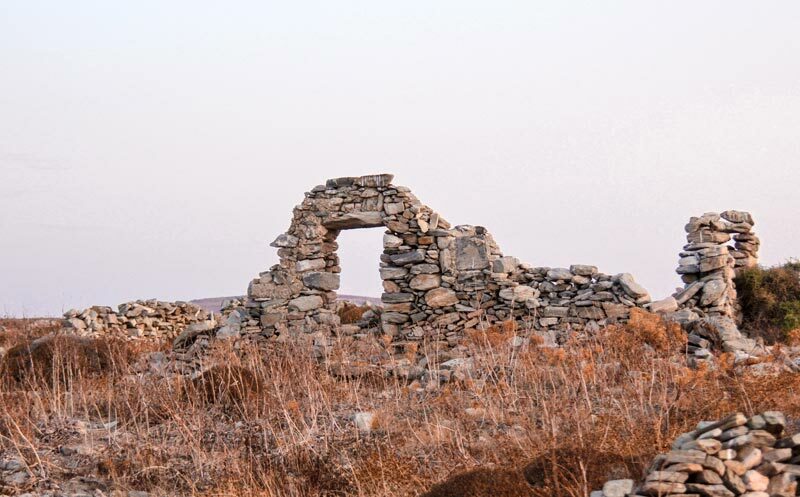 You will be met by smiling villagers who, after the hectic high season, will be eager to fascinate you with stories about the Cycladic winter and their Xmas getaways to distant destinations. They will also tell you about the famous “merominia”; the empirical but faultless method to predict the whole year’s weather and treat you to a glass of homemade “tsipouro”, the transparent drink that burns the throat and sets the mind free. And just before sunset, the island of Delos from across the sea, will mystify you with its purple colors and the falling shadows that silently speak of ancient journeys to where the gods of the Aegean were born: the same gods that are challenging you to come back to Mykonos again and again, just to find out that every time she has something new to show you.